Waterproof and insulated ~ Our best selling carryalls. Hard wearing high grade materials. 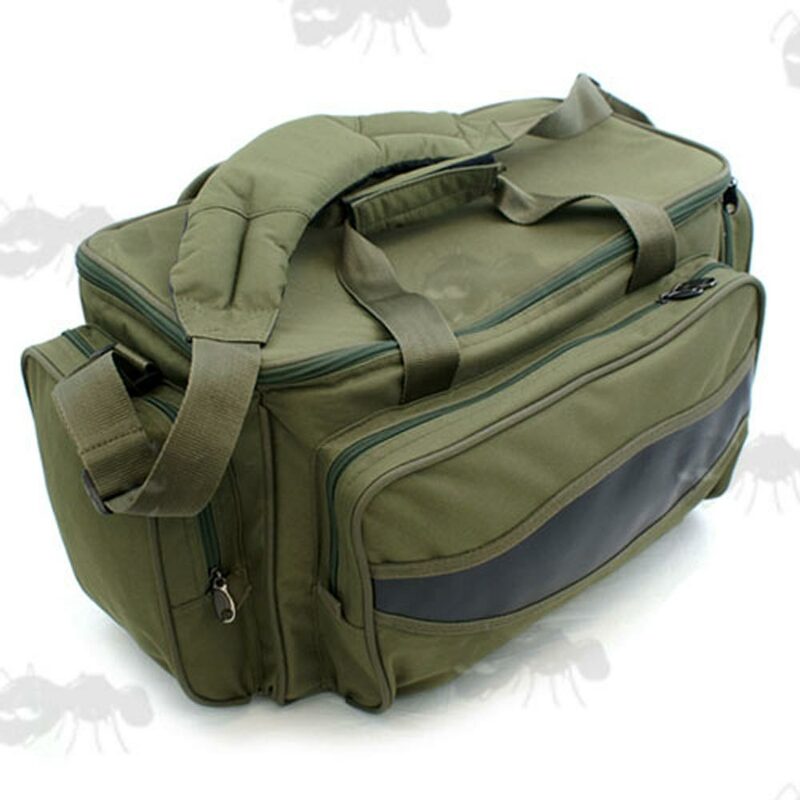 Made from waterproofed 600D polyester with 210D lining. 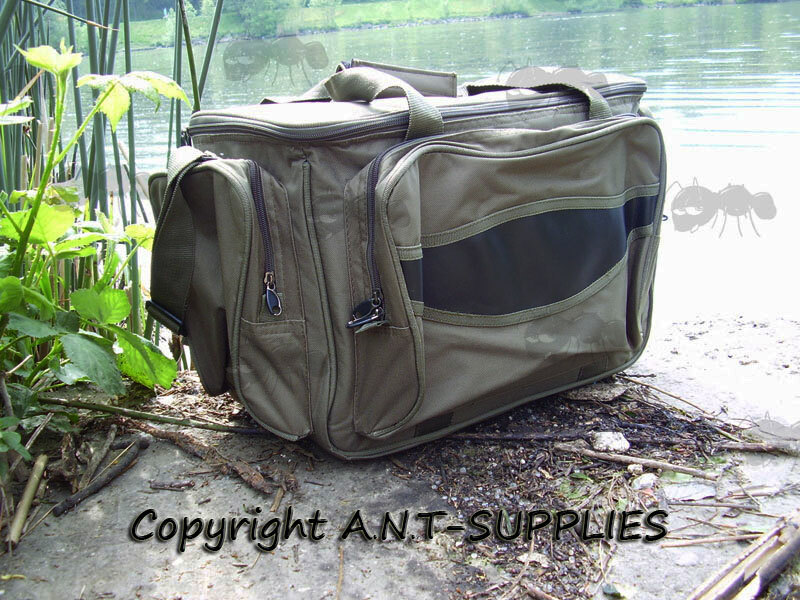 One large main compartment with three outer pockets with large zip fasteners. Three large zipped outer pockets on three sides of the bag. Padded shoulder strap and handles. Main compartments internal measurements, 17 x 8 x 12 inches, 43 x 20 x 30mm (long x wide x high).